2018 was revolutionary for healthcare consumers because patient experience was adopted by the mainstream as a non-negotiable of adequate care. As a result of this integration, healthcare has moved towards a more holistic, patient-centered paradigm. Thus far, 2019 is shaping up to be the same. Our team was looking over the patient experience movement’s history to gain a deeper understanding of its rise. We ended up creating a collection of visionary quotes that reflect the evolving definition of patient experience over the past decade. Here, in no particular order, are eight of the best patient experience quotes from four different perspectives: physicians, nurses, patients and families, and the C-suite. Libby Hoy in her contribution to The Beryl Institute’s research on patient voices in healthcare. Hoy is the founder of Patient & Family Care Centered Partners. She has more than 20 years of experience navigating healthcare systems, advocating for three of her sons that live with mitochondrial disease. Alicia Cole, founder of the Alliance for Safety Awareness for Patients (ASAP), shared with The Beryl Institute how she defines the patient experience. Alicia almost died after contracting multiple hospital-acquired infections including Necrotizing Fasciitis after a routine medical procedure. Christy Dempsey, chief nursing officer of Press Ganey Associates in her interview with the Center to Advance Palliative Care. Kristine White, RN with Spectrum Health, in an interview with Becker’s Hospital Review. Dr. Victor Montori asserts that a key component of excellent patient experience is shared decision making during an interview with the Institute for Healthcare Improvement. Dr. James Merlino stated in an interview with Forbes about customer service in healthcare. Peter Pronovost, chief clinical transformation officer at University Hospitals health system, said in an interview with PatientEngagementHIT.com. Roberta Levy Schwartz, executive vice president, The Methodist Hospital, said to The Beryl Institute. 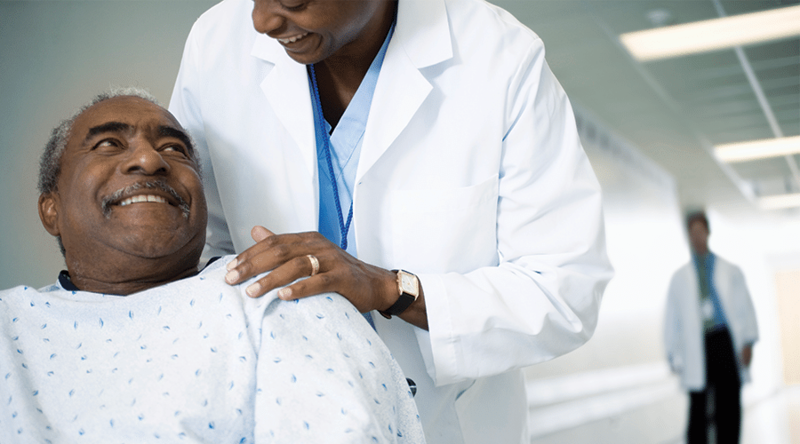 Eight definitions of patient experience from four different perspectives in healthcare all agree on one factor: great experience requires a patient-centric culture.